Emoji, emojis, smilies, or smileys—whatever you want to call them, those little yellow icons have firmly implanted themselves in the human lexicon. 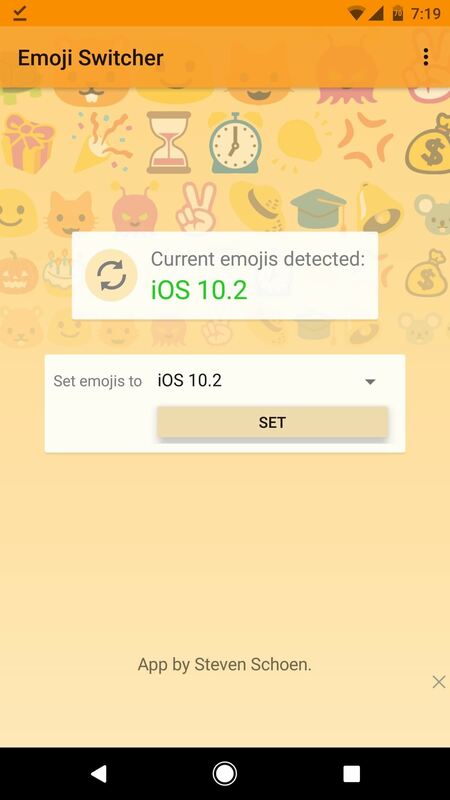 However, just like with localized languages and dialects, emoji can be very different from one another depending on the device or operating system you're using. 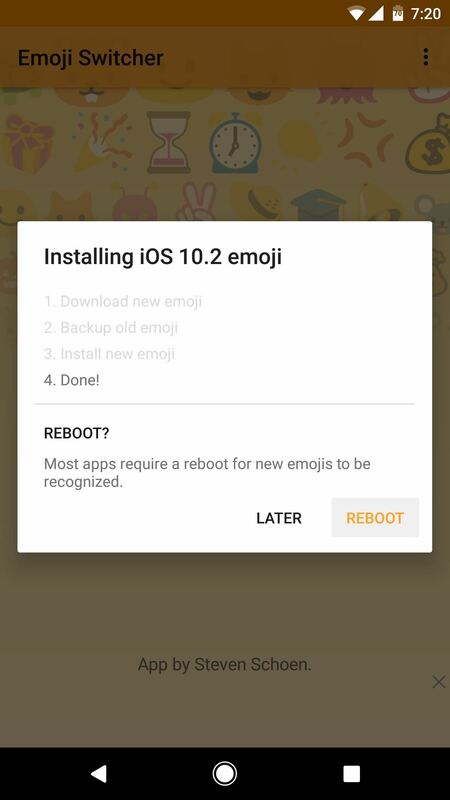 If you're not a fan of Google's blob-like emoji, there are a pair of root and custom recovery mods that can give you the iPhone's round smileys in just a few simple steps. Once you've installed one of these mods, every single emoji in almost all of your apps will be replaced with its iOS 10 counterpart, so it's definitely worth a look. Next, boot your phone into TWRP, then make a quick NANDroid backup. 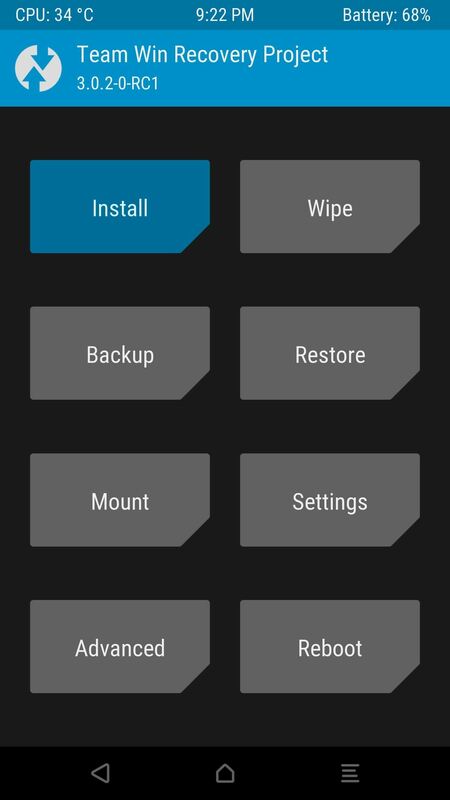 Once you've done that, tap the "Install" button from TWRP's main menu and navigate to your device's Download folder. 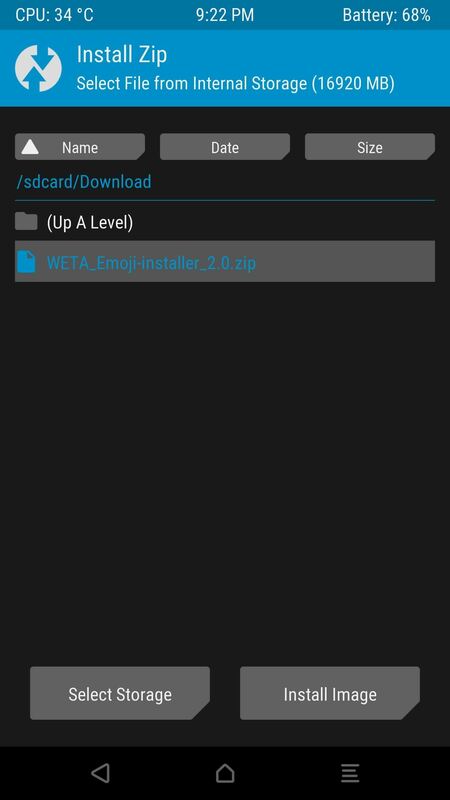 From here, select the WETA_Emoji-installer.zip file, then swipe the slider at the bottom of the screen. At this point, you'll see the AROMA Installer interface, which is a touch-based UI for customizing flashable ZIPs in recovery. So from here, tap the "Next" button at the bottom of the screen, then select the "IOS 10.2" option and tap "Next" again. 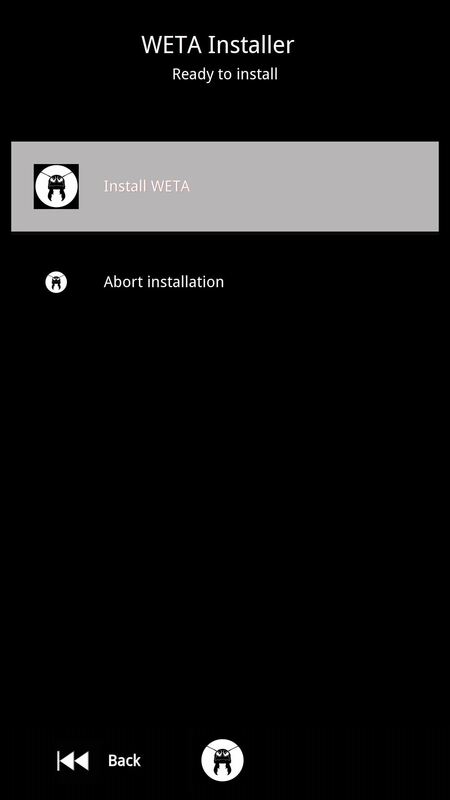 From there, press "Install WETA," then tap "Finish" when prompted and hit "Reboot System" after you're sent back to TWRP recovery. We recognize that some people aren't very comfortable with TWRP and would rather use a simple app when it's possible. 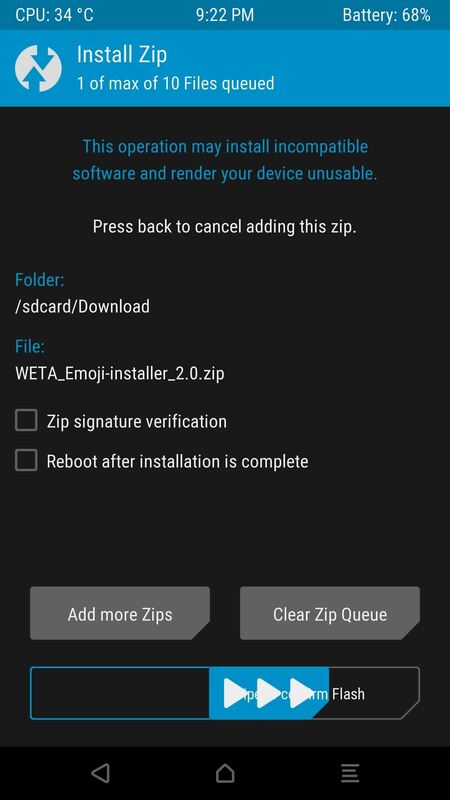 So for a second option, start by installing an app called Emoji Switcher (root)—but note that this method will only work if your Pixel or Pixel XL is rooted. 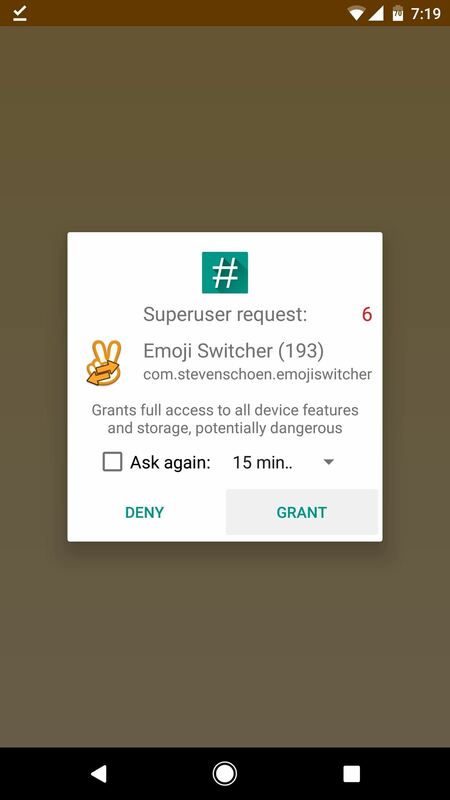 Next, open Emoji Switcher, then tap "Grant" on the Superuser access request. From here, select "iOS 10.2" from the drop-down menu, or whatever the newest iOS version is, then press the "Set" button. Within a few seconds, the iOS 10 emojis will be installed on your phone, so tap "Reboot" when prompted to wrap things up. Either way you went about it, you should now have iPhone emoji on your Pixel. 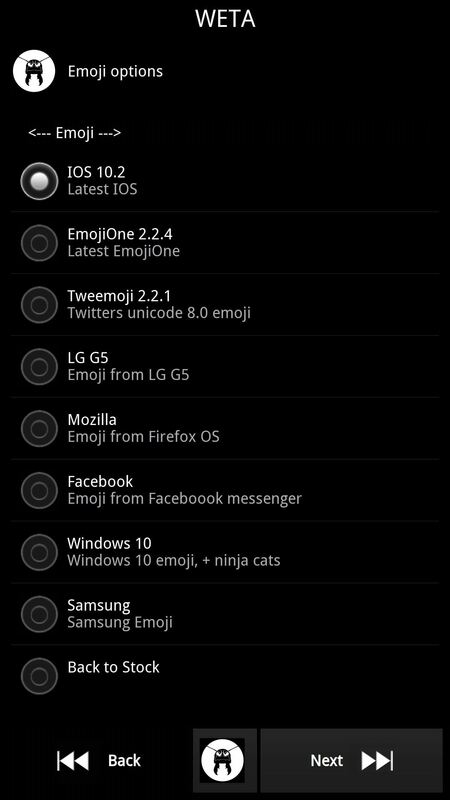 Both mods change the emoji at a system level, so the new look should be visible on almost every app on your phone. Some apps, like WhatsApp, use their own emoji—but other than that, you should now have iOS 10 emoji everywhere!